At Reliant Construction, we pride ourselves in providing top quality work with impeccable service and total transparency. When you hire us, you'll have the peace of mind to know that we're using top quality products and expert craftsmen who are very cautious in taking care of your home while working on it. That is THE RELIANT WAY! At Reliant Construction we use only leading name brands such as James Hardy, Sherwin-Williams, Simonton Windows, Andersen Windows and Doors and Tyvek by Dupont. We never use cheaper, lower quality “knock off brands”. Unfortunately, some companies in our industry will charge you name brand prices, but then use cheaper, lesser quality brands to increase their profit. That’s not the Reliant Way! With Reliant, you always get what you pay for – Top quality building with top quality, brand name materials. I’m sure you driven by a house before that’s having its roof worked on, and the whole thing is covered in a blue tarp. That’s because the old roof has been removed, but the new roof isn’t ready yet. This leads to leaks. That’s not the Reliant Way! We build a support structure for the new roof, placing it into the small penetrations made into the existing roof. The new roof is then shingled and dried above the existing roof. Once the new roof is ready, then and only then, do we remove the existing roof, replacing it with the new roof. 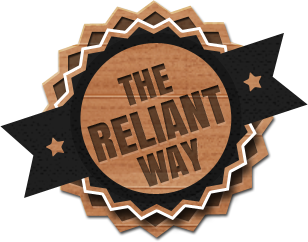 The Reliant Way means you being confident in our work. So included in your price is a 3rd party inspection, even in areas where inspections are not required by law or zoning regulations. We know not everyone has the experience to recognize quality work vs. low quality work. So when you hire Reliant Construction, for no extra fees you will get an independent third party inspection of the work you’ve paid us to do. We want to make sure you are confident in the finished product of our work for you. From top to bottom, our team has the structural background to ensure the job will be done right from beginning to end. Too often a company sends out a sales person without a structural background to put together your quote and plan out what you need. This often leads to problems like undersized beams. At Reliant we only hire and work with experienced craftsmen, licensed electricians, plumbers and HVAC professionals. In the case of the beam size problem we just mentioned, we have engineers size the beams to be sure they aren’t undersized. Our management alone has over 50 years of combined experience. Add to that our staff, and you can rest assured that you’re in experienced and reliable hands. To back up our work and our commitment to quality, we provide a 5 year warranty on all of our residential remodeling work. Learn more about us and our history.